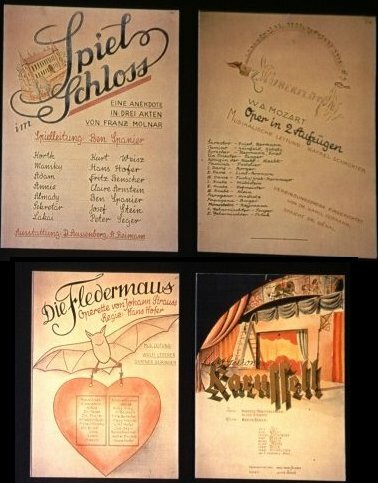 Music programs hand-drawn in 1943 by camp inmates, with paintings of a concert hall and an interior stage, together with advertising for the Strauss opera "Die Fledermaus" and "Mozart music". The list of instruments includes a piano. 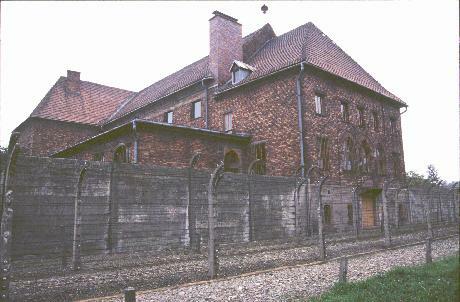 Most large German camps had concert halls where inmates organized regular Saturday night theater productions, operas, and dances attended by thousands of fellow-inmates. 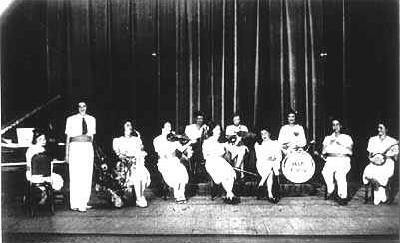 These concerts were the envy of villagers outside camp who did not have the instruments or halls for such gatherings. At times villagers were invited and enjoyed the productions alongside camp inmates. 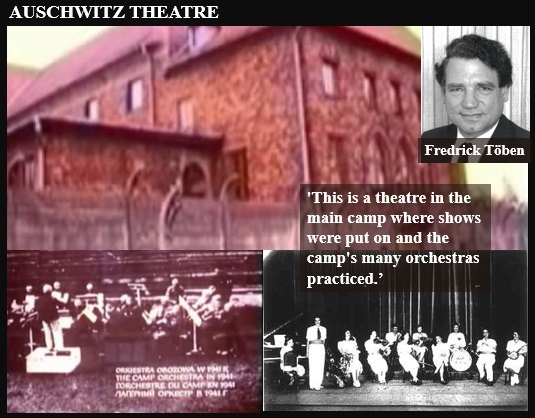 No photos are known to exist of Auschwitz theatre productions but there are photos of other camp groups. 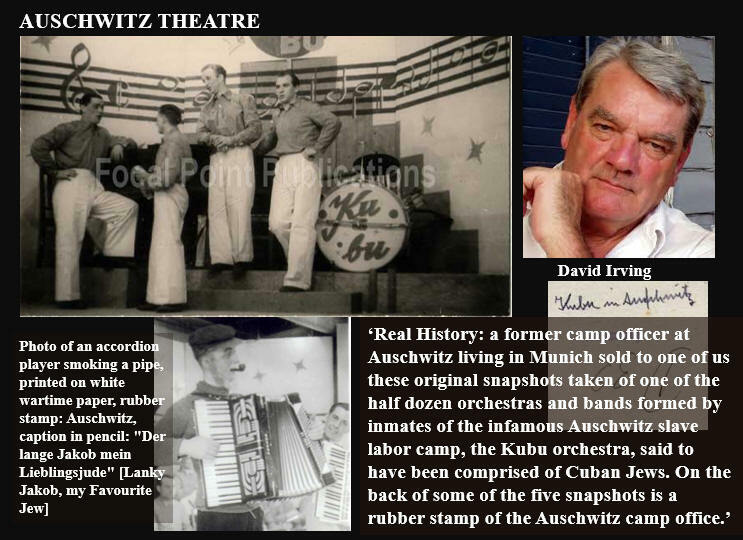 The translation of this is: "After the group disbanded in 1941, all of the Jewish Cultural Group artists worked at different camps in acting groups or choirs. 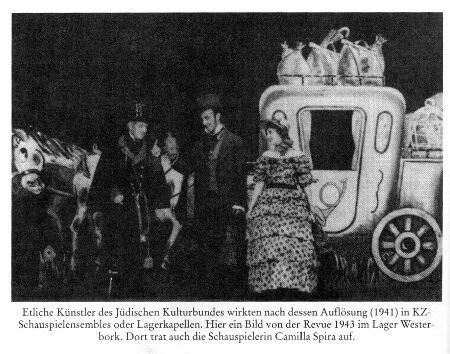 This is a 1943 production in Westerbork Camp; here the actress Camilla Spira appeared in many shows.